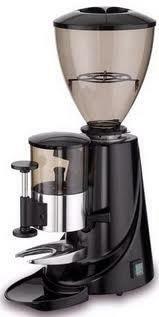 It's easy to use with cool grinding to ensure a great, consistent taste throughout the day. This grinder is built to last and will grind a double shot in 6 seconds. The Super Caimano is ideal for very busy coffee shops and will cope with 5kg beans per day.